Remember getting your child ready for the first day of Kindergarten? It’s a pretty big deal. You run from store to store, buying those “required” supplies: new clothes, a shiny lunchbox and the very first backpack. I don’t know how you felt about it, but for me, the backpack was the thing. It hit me like a ton of bricks. Watching my son walk away on the first day of class with that massive beast of a backpack strapped across his shoulders – dwarfing him – I knew some things would never be the same. It was the moment my toddler wandered out of my life, and a big kid walked in. It’s funny now, looking back. The first backpack leads to another, and then another. Cartoon characters make way for skater styles, and before you know it, you’re over 40 – lugging your checkpoint friendly, Nike, denier nylon techie essential backpack onto an airplane to Montreal. The thing is loaded to the hilt with your laptop, iPad, iPod, noise canceling headphones, neck pillow, snacks, water and all the other travel necessities… most of which, you really don’t need. Looking around, half of the passengers carry packs as well. They’re supposed to make the trip easier, but they weigh way too much, and you almost throw your back out trying to get it up into the overhead bins. They’re not as heavy as the backpacks you don’t see though. As we go through life, we start carrying things around with us – more than we should. We carry around things that we don’t need. Maybe it’s the argument you had last night, or the words someone said to you on the phone. Maybe it’s a name that someone called you, or what they said behind your back. Perhaps it’s the day you didn’t get that raise or your spouse forgot flowers. Whatever it was, you were upset or hurt. You picked up those feelings and didn’t address them. You packed that moment away in your emotional backpack and went to bed mad. 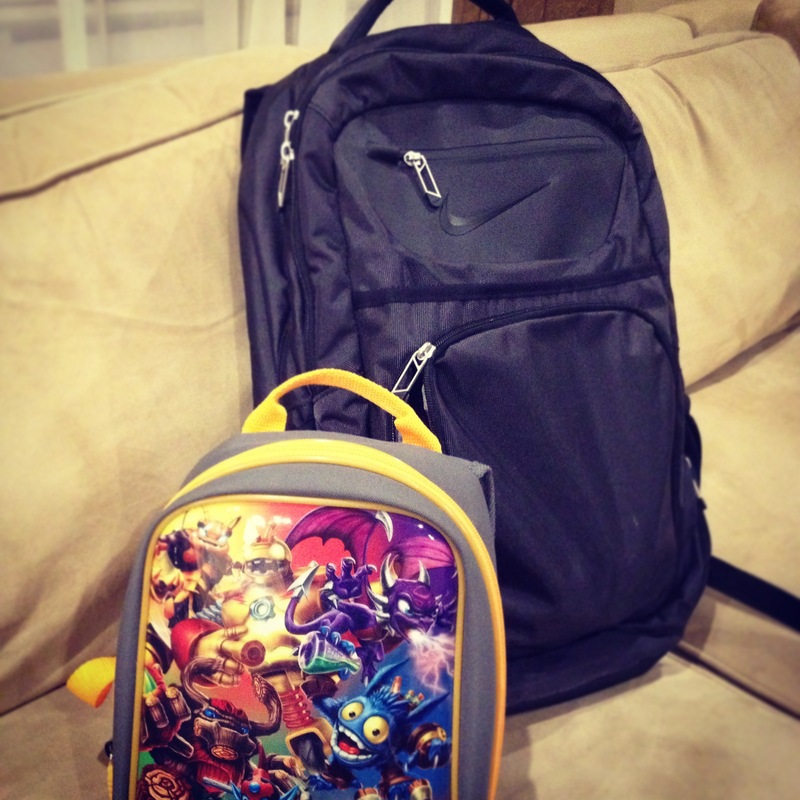 The next morning – on your way out the door – you picked that backpack up and carried it with you. Then the next morning and the one after that, you did the same thing. Every day, that load just gets heavier. Each unaddressed feeling or unresolved issue is a rock you carry around on your back, weighing you down. You think you’re strong, that you can handle the load. But no one can go on like that forever. Sooner or later, your legs give out. You open that pack, and all those rocks come tumbling out. They fall at your feet or, worse, get hurled at those around you. It’s hard to address things outright: to speak up, to work through the argument and to forgive others – or yourself – when things go wrong. It seems easier and safer to put things up on a shelf or pack them away for another day. But it’s not. When we choose not to confront something that is difficult, we’re actually choosing the path of least pain in the moment. We’re trying to minimize risk and keep ourselves safe, when in all reality, we’re putting our health and the happiness of those we care about most at even greater risk somewhere down the road – when the backpack becomes too heavy to bear, and the truth comes tumbling out. How heavy is the load that you are carrying around today? How much of it do you really need? How much better will you feel if you set that backpack down and let go of what’s in it? While I will still be lugging my Nike torture device with me on the plane next month (I need my tunes after all), that’s the only backpack that I will be carrying from now on. How about you?